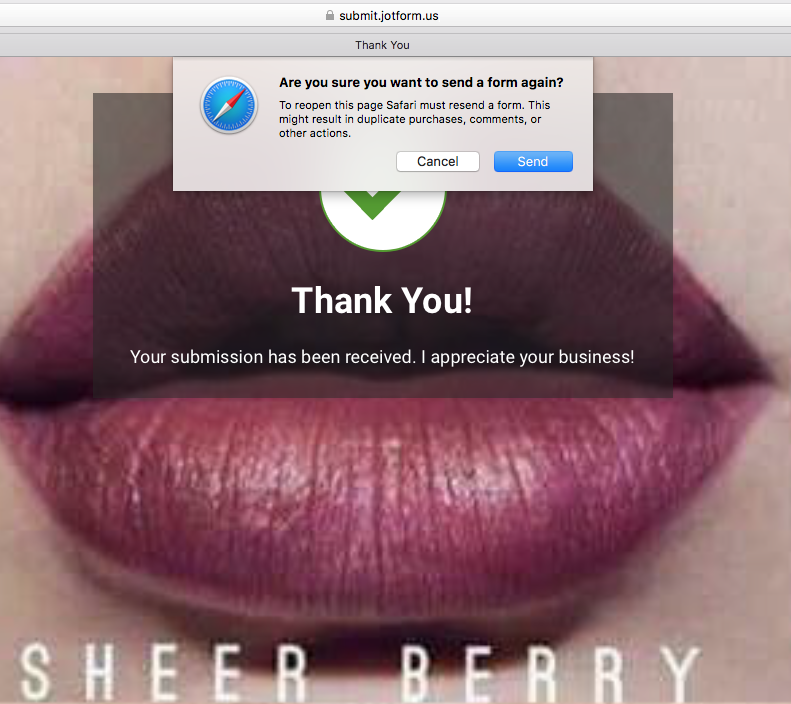 Why am I receiving multiple form submission? I have a form that people can fill out and there are times when a person submits one form i receive multiple submissions via email as well as multiple submissions in the spreadsheet and I then have to go delete the duplicates. Any assistance with this would be great! 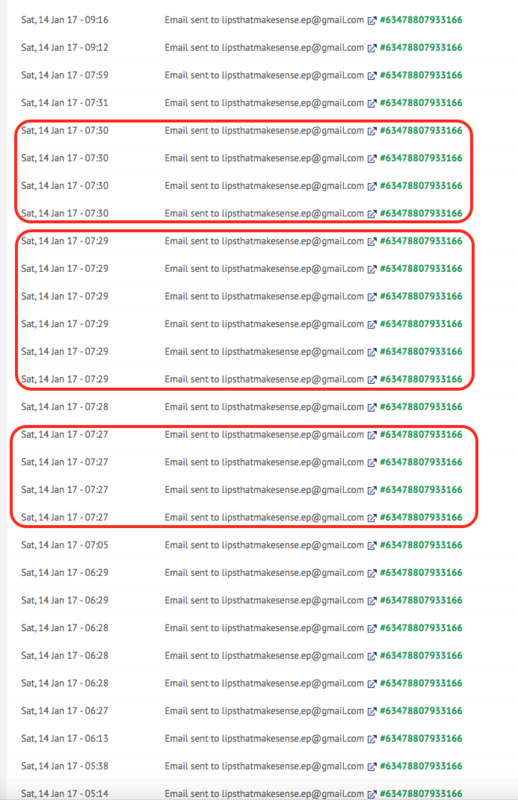 This e-mails sent your e-mail address at the same minute but the seconds are different. I think the user's refreshed the "Thank you page". Maybe, the warning message was not shown cause of browser problem. Please let us know if you have any questions or issue.